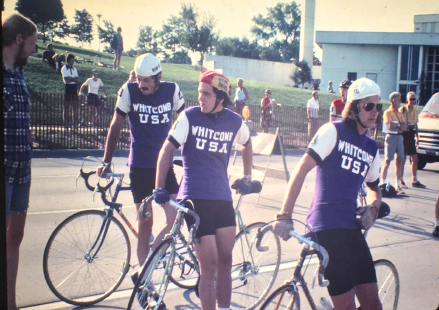 One of the more interesting tales of the USA bike scene, WITCOMB USA was started in the early 1970's in Connecticut by Ed Allen, of Gerry gear and Sports East fame. He at first imported frames by Barry Witcomb, of the successful UK business of the same name. When USA production was started, young USA staff members included Ed Sinkus ("Sky-Lo-Lo"), Chris Chance, Richard Sachs and J.P. Weigle ("Peter".) Witcomb USA finally succumbed due to tipsy bicycle market conditions and disappeared after 8 years of doing business.... But this was not the end of the story. The heritage continues today in the work of acknowledged USA master builders Richard Sachs and Peter Weigle. "Witcomb U.S.A. was formed in 1971. 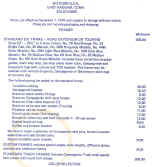 It was a subsidiary of a successful outdoor-sports equipment Rep group named Sports East, Inc. The owner was Ed Allen. He and his staff repped for Gerry, Trak (skis), Allen-A, Kelty, etc." "Ed was always an uber-succesful man in the sporting goods business; though his burning desire was to be in manufacturing, not just sales. Enter the early '70's bike boom in America. Ed, along with Nick Dyslin, did a deal with the Witcomb family to represent its' wares in North America. It never was clear who hooked up with whom. I suspect there was a lot of fishing going on, and lots of Yanks were hooking lots of Brits, so as to ride the wave of that bike boom/ fitness craze/ gas shortage era. (Let's recall--Roland Salm talked to more than one Italian frame shop before landing Masi-the Witcomb link was most likely as serendipitous as that)." "Anyway, the liaison between Connecticut and London was NOT based on Barry's frame output. Witcomb U.S.A. would import all the European parts and clothes and whathaveyou that Witcomb sold in the U.K. In those days there were no major importers and distributors as we know them. It was the Wild West of the 10 speed era! 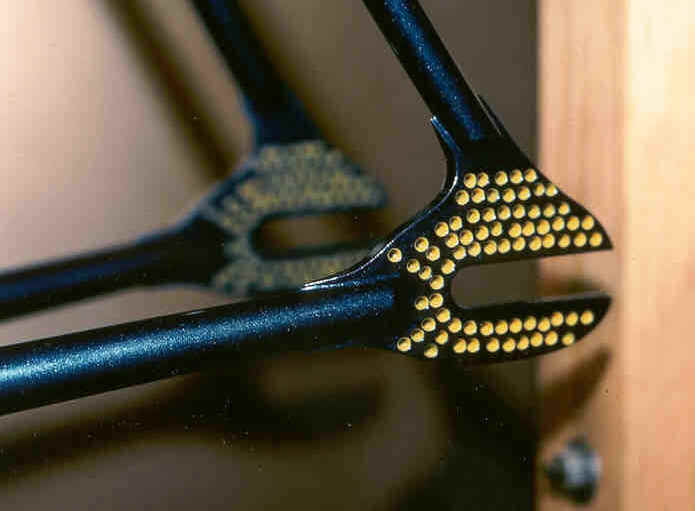 And in addition to all those parts and clothes, the Witcombs, for their part, were to set up an assembly line type bike to be built for them, and designed by them, for the EXPRESS purpose of exporting to Connecticut. These inexpensive bikes were to be marketed to Americans as Witcomb 'products'. It was never anyone's intention to confuse, overlap, or replace the fine work Barry was doing in Deptford, London. These 'cheap' bikes were to be the 'moneymaker'." "The Witcomb family secured a Government loan, were linked up with a town in Wales that had factories that needed work, and did a deal with one of them to visit, and train those people to make the inexpensive bikes." waiting to be successful with it; Barry's frames and all the ancillary stuff went over swell--it just couldn't support the investment in time/money Sports East had put into the Witcomb U.S.A. 'thing'. For the record, Peter & I were there in Connecticut to do 'whatever needed to be done'. This was a new and fledgling company. Ed did not want to lose a ton of money. He wanted to BE a manufacturer, not go out of business TRYING to BE one. Ultimately, Peter & I were asked to make some frames to add some value to the bike side of the company." "Eventually, the Welsh 'thing' died, Ed lost his drive to deal with the Brits, people were let go, and Witcomb U.S.A. meant nothing more than the frames we made in East Haddam." ".....Peter & I started the frame shop. We eventually hired Gary Sinkus. And a year or so later, we gave Chris Chance his job at the shop. There were one or two others that did some frame work, but were not destined for careers in frames." The first two digits are the year it was made. The numbers that follow are sequential as the frame  built. Radically drilled track dropout at NY Bike Show.